To all of the CHS Choirs for an outstanding performance at OMEA contest. All three CHS choirs competed at the OMEA contest on March 9, 2012. Concert Choir received a 1 in Class C.
Women's Choir competed in the Class B category and received a 2. Symphonic Choir sang in Class AA and received a 1. Congratulations to Mr. Spalding and the students for their very hard work. 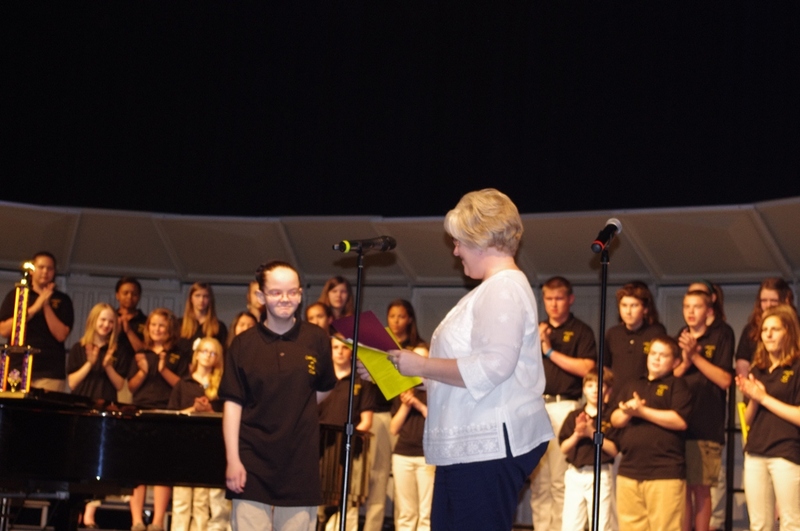 All three choirs had a large number of family and friends in the audience supporting them and enjoying their music. Despite a 9:40 pm performance slot, many of the Symphonic Choir families stuck around to find out the results. In May of 2012, Symphonic Choir members jumped at the opportunity to become consortium members for a new piece by Eric Whitacre, an adaptation of the classic children's story Goodnight Moon. Members of the consortium have been granted exclusive performing rights from August 1st, 2012 to January 1st, 2013, and "CHS Symphonic Choir" will appear in the score, to be published by Chester Music. You can click here to learn more about how and why Mr. Whitacre set this classic text to music. You can also hear a preview of the song. 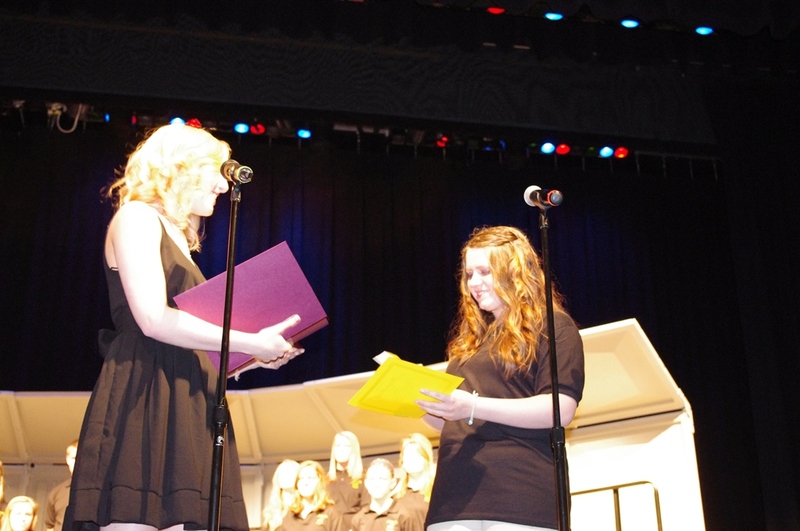 Michelle McCalmont, winner of Centerville Choral Boosters scholarship for Middle School students, presented by Vickie Snyder. 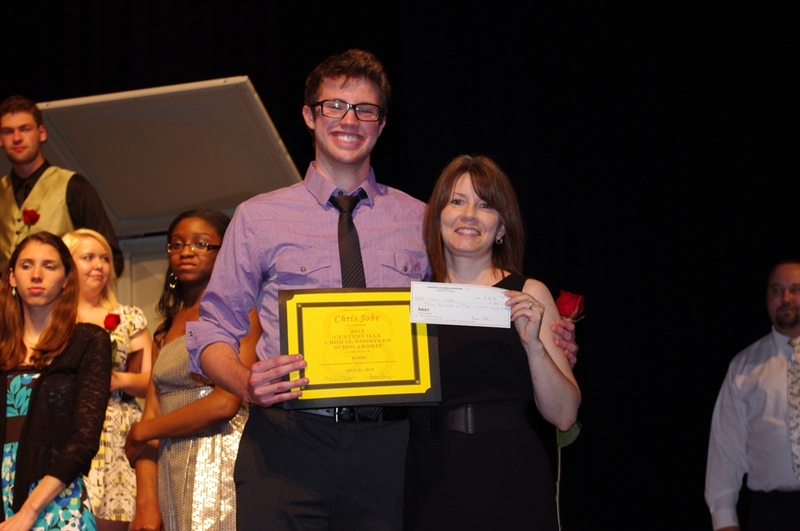 Morgan Cottrell, winner of Alumni Scholarship for Middle School students, presented by Rachel Meyer. 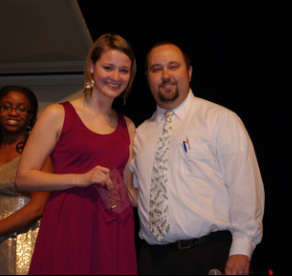 Caroline Glynn, winner of Director's Award, presented by Ben Spalding. 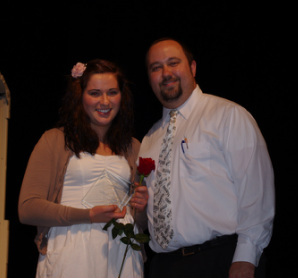 Kendra Huhta, winner of Director's Award, presented by Ben Spalding. 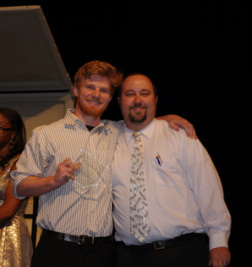 John Nichols, winner of Director's Award, presented by Ben Spalding. 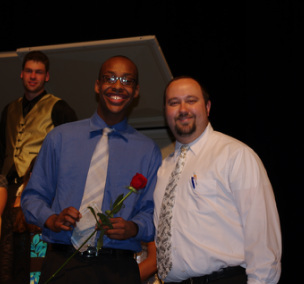 Kevin Nigarura, winner of Director's Award, presented by Ben Spalding. 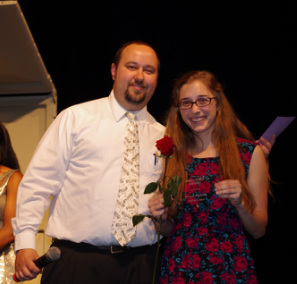 Jensen Pennock, winner of Director's Award, presented by Ben Spalding.